Look and feel younger. Improve your complexion. Your physique. Your attitude. The expert practitioners at Bareskin Medspa understand the unique needs of men and provide personalized, effective treatments and services to bring out your best. A treatment for one of the most neglected areas of the body — the back. Treatment includes cleansing, exfoliations, extractions, a relaxation massage, and a customized back and shoulder masque. This facial provides deep pore cleansing, steam, and extraction to help treat ingrown hairs caused by shaving. A customized facial masque, followed by a shoulder and facial massage adds to the rejuvenation. A safe, non-chemical procedure that deeply exfoliates the skin and stimulates cell growth. For best results, multiple treatments are recommended at 7-14 day intervals. The use of muscle relaxing agents, such as Botox, have helped patients with their non-surgical cosmetic needs through simple in-office injections. Botox works by partially paralyzing the muscle into which it is injected. The vast majority of aesthetic facial use is for wrinkles and lines around the forehead and around the eye area. The muscular paralysis, while profound, is only temporary and must be repeated to create longer lasting effects. There is a progressive decline in testosterone production in men with age. These changes can be dramatic, such that 50% of men >60 years old have low levels of testosterone. Although the rate of decline varies widely, a general rule of thumb is that testosterone levels decrease about 1% yearly after age 50. To make an accurate diagnosis of low testosterone, symptoms or findings must accompany a blood draw showing a low testosterone level. This combination makes treatment worthwhile to pursue. Symptoms include decreased sexual desire and erectile dysfunction, changes in mood associated with fatigue, depression and anger, and decreases in memory and spatial orientation ability. In general, a total testosterone is ordered first. National guidelines suggest that a testosterone level below 300 ng/dL is suspicious for being low. The most popular choices are the transdermal gels (70% of patients), injectables (17%) and then transdermal patches (10%). Testosterone replacement is generally considered a longterm therapy and patients need to be monitored regularly. Prior to starting treatment, a digital rectal examination and serum PSA are important. Within a month or two after treatment is started, symptoms and testosterone levels should be assessed. During the first year of therapy, patients should be followed regularly to assess clinical response. After the first year, patients who are stable may be followed annually. Annual evaluations should include testosterone, hemoglobin, liver function tests, lipid profile and PSA tests. Bone density and psychological evaluations can be done depending on the original reasons for treatment. The CoolSculpting fat-freezing procedure is the only FDA-cleared*, non-surgical fat-reduction treatment that uses controlled cooling to eliminate stubborn fat that resists all efforts through diet and exercise. The results are proven, noticeable, and lasting — so you’ll look great from every angle. *In the U.S., the CoolSculpting procedure is FDA-cleared for the treatment of visible fat bulges in the submental area, thigh, abdomen and flank, along with bra fat, back fat, and underneath the buttocks (also known as banana roll). In Taiwan, the CoolSculpting procedure is cleared for the breakdown of fat in the flank (love handle), abdomen, and thigh. Outside the U.S. and Taiwan, the CoolSculpting procedure for non-invasive fat reduction is available worldwide. ZELTIQ, CoolSculpting, the CoolSculpting logo, the Snowflake design are registered trademarks of ZELTIQ Aesthetics, Inc. © 2017. 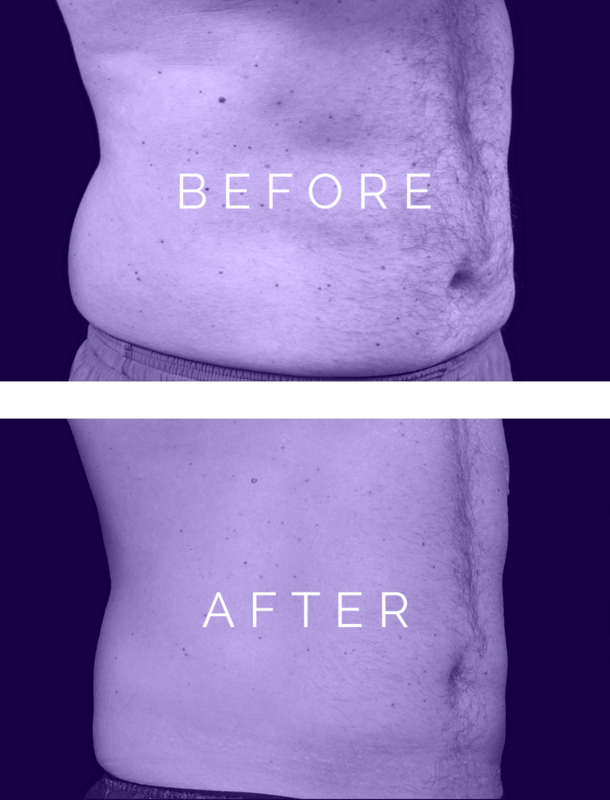 CoolSculpting is the treatment doctors use most for non-invasive fat removal. CUSTOMIZED TREATMENTS AND PACKAGES AVAILABLE UPON REQUEST. Here is a list of our most popular services. For detail and pricing on each, please download our brochure.